Uneven concrete slabs can present safety issues, damage vehicle tires, and look unappealing. Instead of replacing your concrete slabs, often times you can raise / level them for a fraction of the time and money. The process of raising concrete slabs by hydraulically pumping grout, a composite of sand based material and Portland cement, under the slab is called Mudjacking concrete raising. 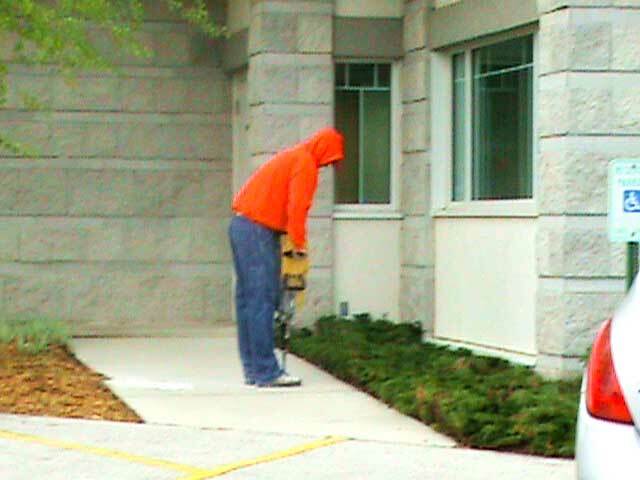 This process is also commonly referred to as slabjacking, concrete raising, or pressure grouting. Concrete raising is an easy alternative to replacing your concrete, often times saving you over 50% of the cost of replacement! Some common areas we raise, level and repair are patios, front porches, driveways, sidewalks, garage & parking slabs, steps, and pool decks. 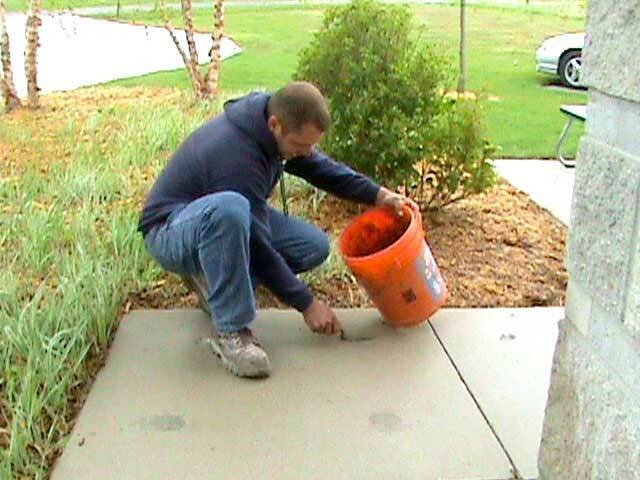 We have been helping home owners level and repair their concrete for over 40 years and are the only Wisconsin concrete raising company that provides professional mudjacking concrete raising and polyurethane concrete raising services! 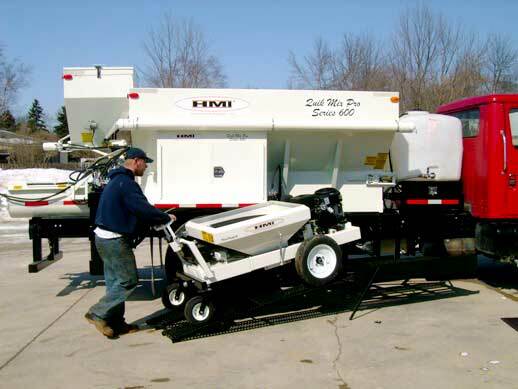 Do you have uneven concrete and don’t want to pay the cost to demo and replace it? Then Mudjacking concrete raising is right for you! The first step we take when starting your concrete raising project is to strategically drill one inch holes into the section that requires lifting. These allow us to hydraulically fill the spaces underneath your concrete. After the holes have been drilled we setup our equipment. Trucks remain parked while the mudjacking crew maneuvers the pump to the repair site. Armed with the mobile pump, and many lengths of hose, the mudjacking crew can reach just about anywhere. A sand-based slurry, infused with Portland cement, is hydraulically pumped through the 1″ holes to fill voids and raise the settled concrete. As the slurry fills the voids and crevices under the concrete slab, the pressure of the filling begins to raise the concrete. We measure the level at which the concrete slab is raised, ensuring it’s raised enough to make it level with the surrounding slabs. After our mudjacking crew has completed raising your concrete, we insert a plug into each hole, and patch it with new cement. The concrete slab is ready for use immediately. It is recommended, however, to allow the patch material to set-up before use, which typically takes a couple of hours. instead of replacing it. Let us help you!